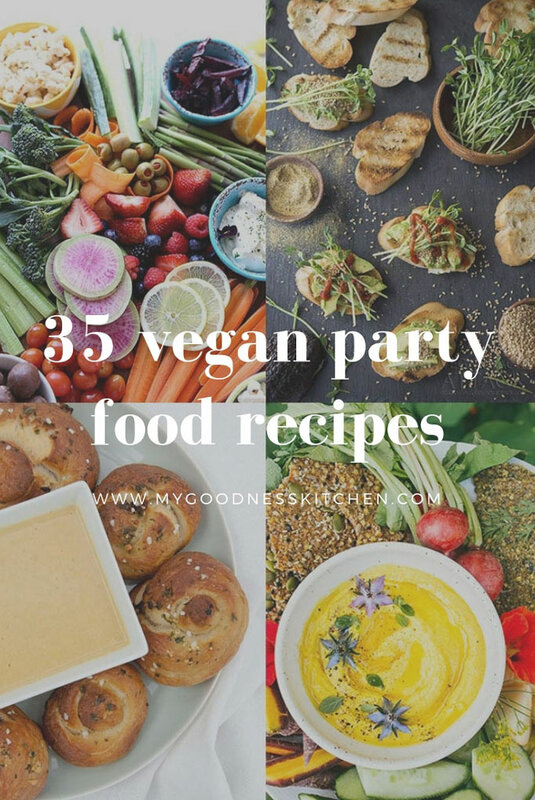 Catering a party for vegans and carnivores is made simple with this list of 35 Vegan Party Food Recipes. From dips and crackers to soft pretzels, sausage rolls and sweets this list has everything you need to feed the hungry masses. 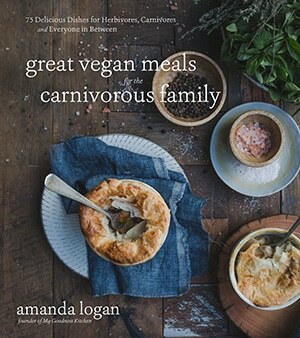 Like my Carnivore-Approved Vegan Meals roundup, this list is is drawn from some truly clever and talented vegan food bloggers. 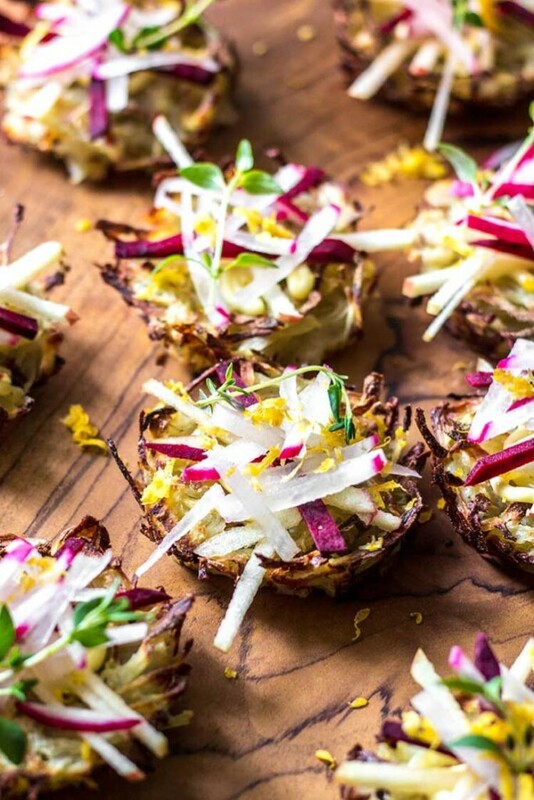 Oven baked potato nests topped with crisp radish, apple and beetroot matchsticks are a delicious change to traditional appetisers or hors dóeuvres. These little potato nests from Amber at Quite Good Food are so pretty and whimsical. They just tickle my sense of fun. 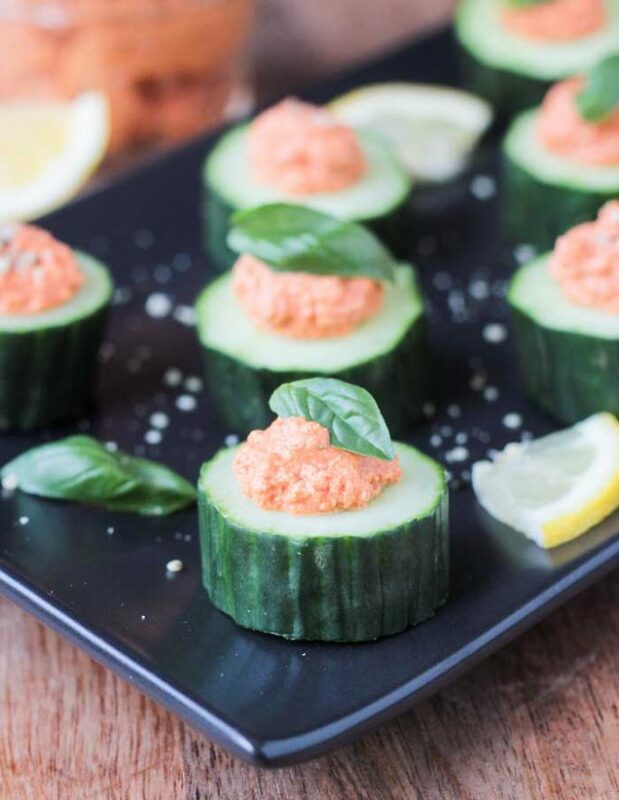 How sweet are these Cucumber Bites with Sun Dried Tomato Spread from Jenn at Veggie Inspired? This gorgeous and fuss-free recipe is perfect for summer entertaining. Holy Moly this is a wow party dish! 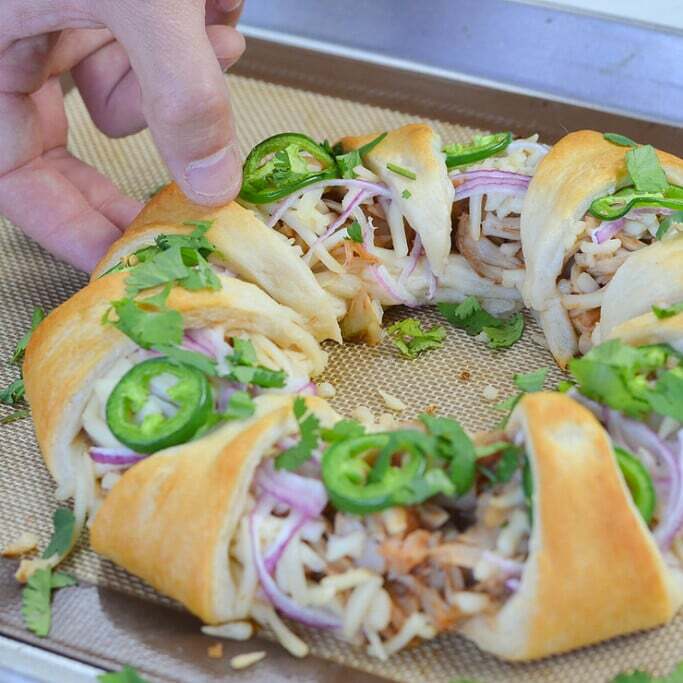 Briggitte from Vegan Guide to the Galaxy has outdone herself with this party-ready Pulled Jackfruit Crescent Ring. 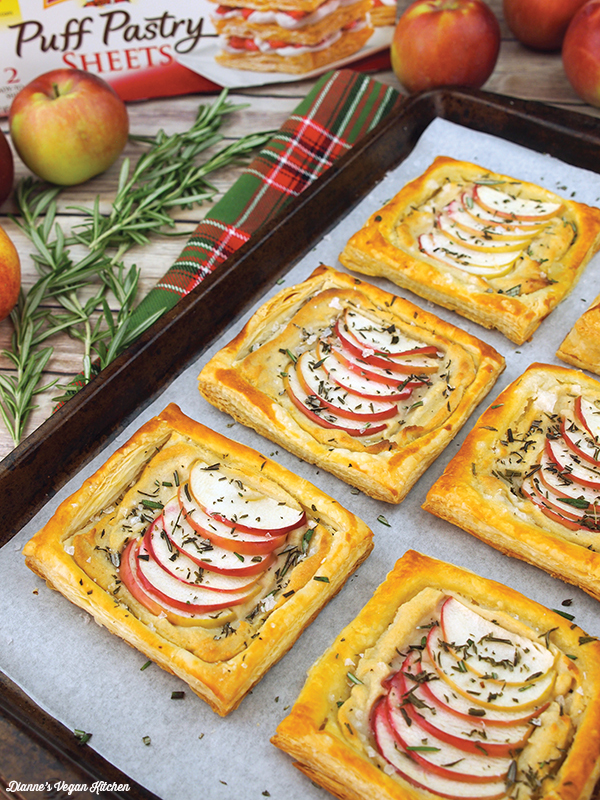 These pretty little Vegan Cheese and Apple Tartlets from Dianne’s Vegan Kitchen are just so lovely and festive. I think the kids will love for these. 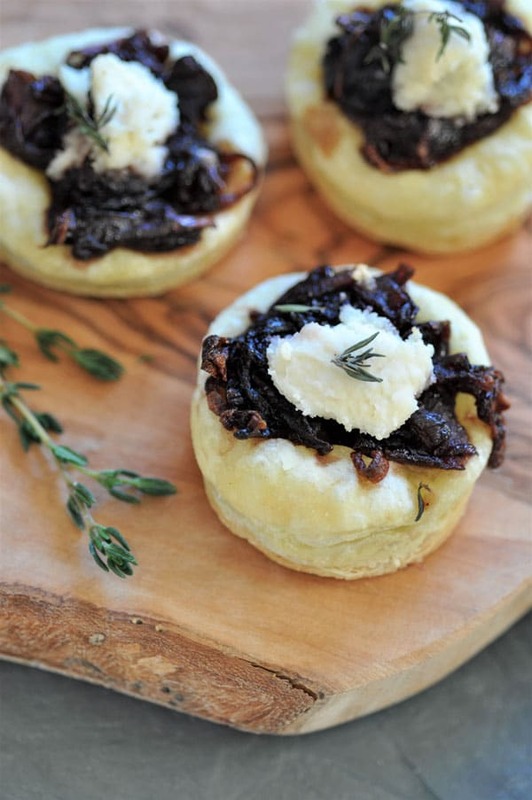 Who could resist these gorgeous and elegant Onion Confit Tartlets from Alex and Linda at Veganosity? Perfect little bite sized puffs of deliciousness. It ain’t a party without the cheese and Gwen from Delightful Adventures speaks my language. 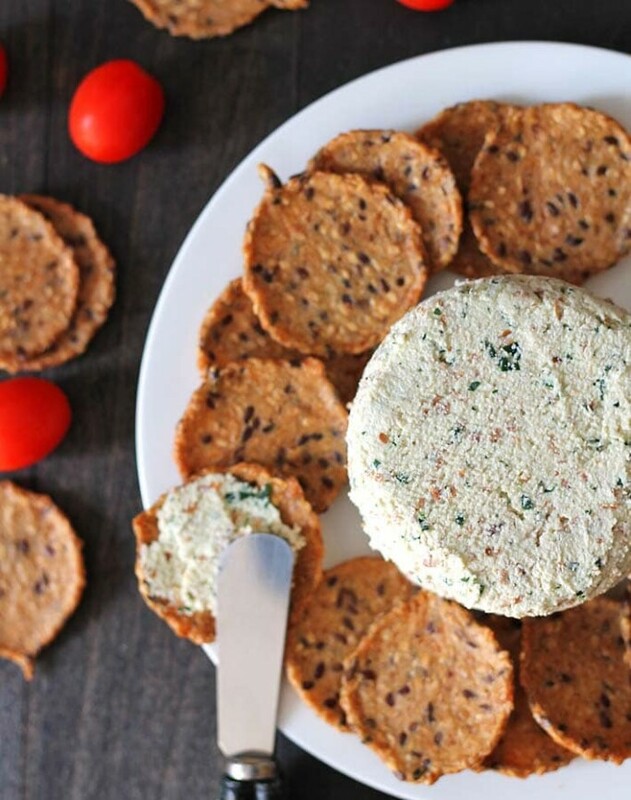 This Garlic Herb Vegan Almond Cheese looks so good I want to lick the screen. Don’t judge. I don’t know about you but I am always pro foods that allow to walk and stuff your face. Thanks Cadry from Cadry’s Kitchen for these portable Tacos. With deliciously melted cheese, red onion, mustard, garlic powder and black pepper, these wonderful Cheese & Onion Rolls from Cassidy at Euphoric Vegan will tempt vegans and omnivores alike. Look at all this melty goodness from Sam at It Doesn’t Taste Like Chicken! 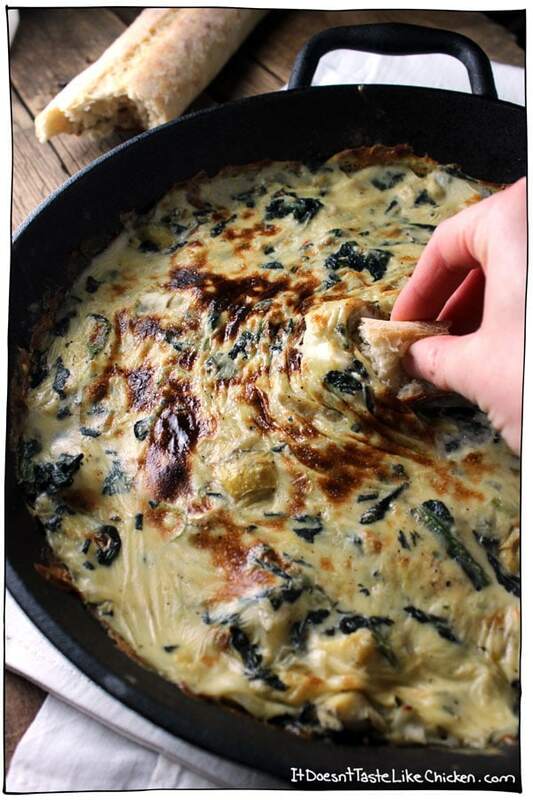 Oh my goodness, this Vegan Spinach & Artichoke Dip looks A-mazeballs. 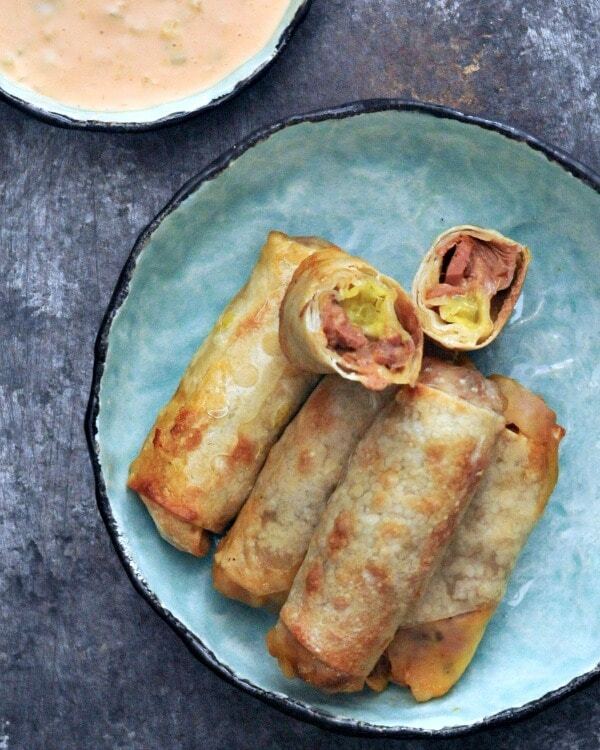 These Crispy Tangy Reuben Rolls from Spabettie looks postively sinful and I love it. Well, it just isn’t a shindig without crackers and dip. 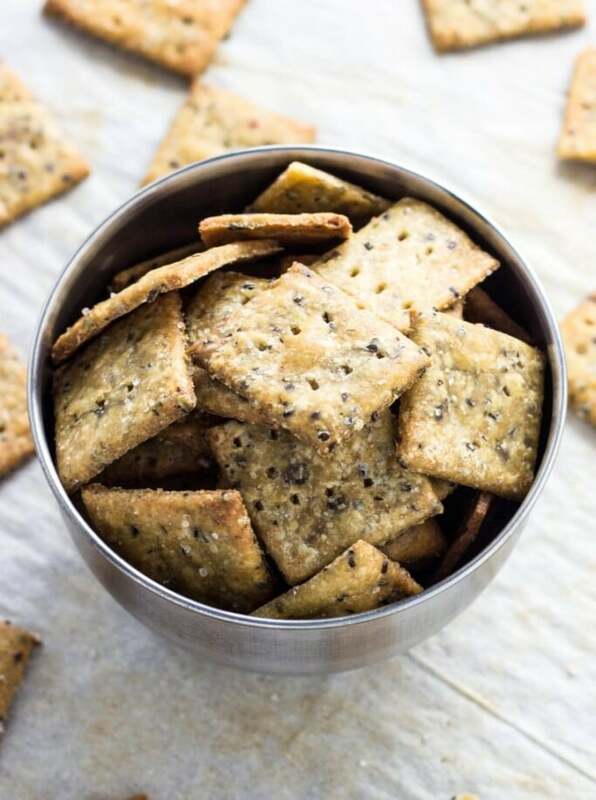 I love these Whole Wheat “Cheesy” Herb Chia Crackers from Melissa at Wee Little Vegans. 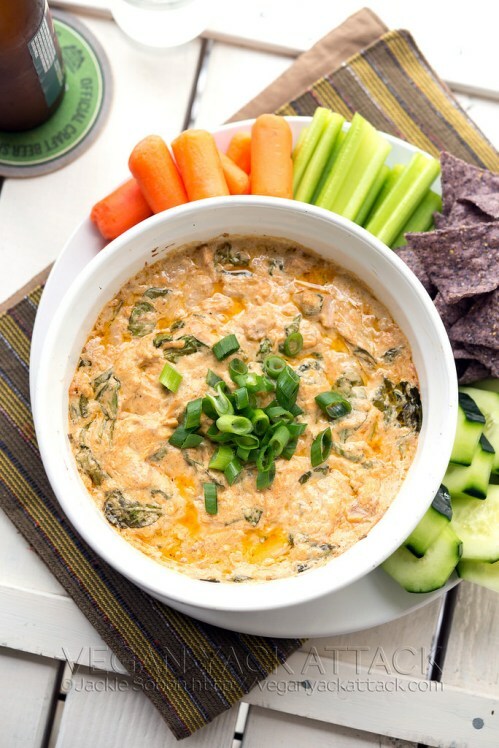 And here’s the dip, I am weak at the knees for Jackie’s Buffalo Jackfruit Spinach Dip. You can find the recipe at Vegan Yack Attack. 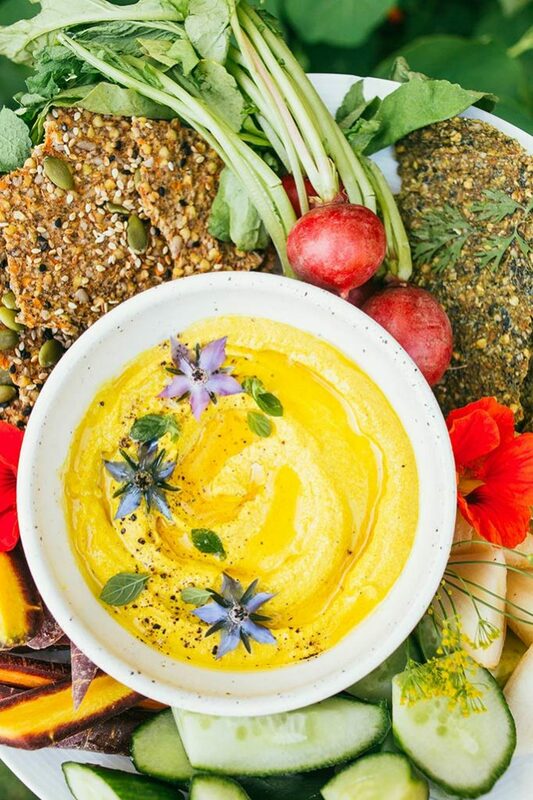 Glorious in colour, this Cultured Turmeric Cashew Spread from Sophie at Wholehearted Eats is a delicious and healthful addition to a parry table. 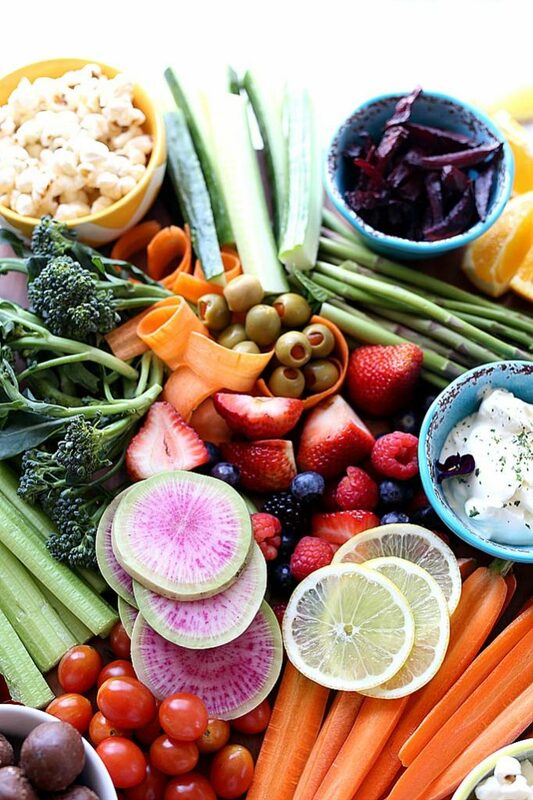 Get inspired with a gluten-free Healthy Snack Board for Kids from Danielle at Delightful Mom Food. Look at these colours. Two of my favourite things – bread and cheese! 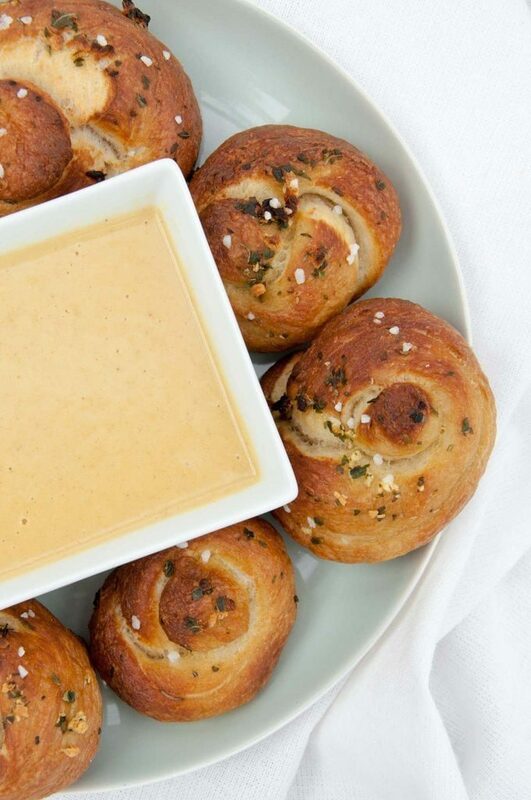 I am loving these Vegan Pretzel Garlic Knots from Bianca at Elephantastic Vegan. Bless the girl, she includes a link to her cheesy dipping sauce too. 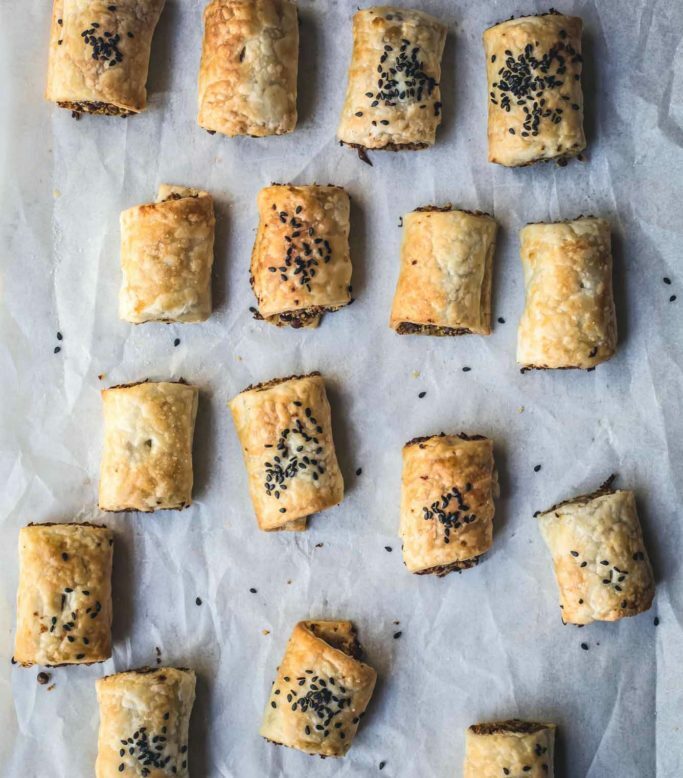 Authentically meaty, the carnivores will love my Easy Peasy No-Sausage Rolls. Made with mushrooms, lentils and rosemary these little guys are from my new cookbook. 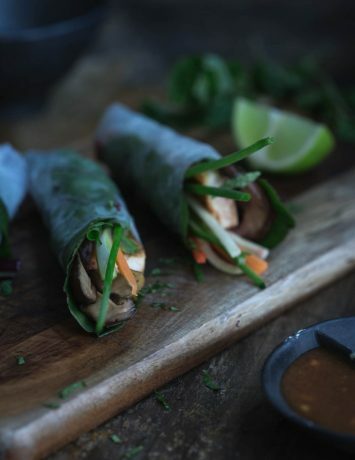 Rice paper rolls are such a crowd pleaser and these Vegan Rice Paper Spring Rolls from Marina at Yummy Mummy Kitchen are full of vibrant colours and flavours. 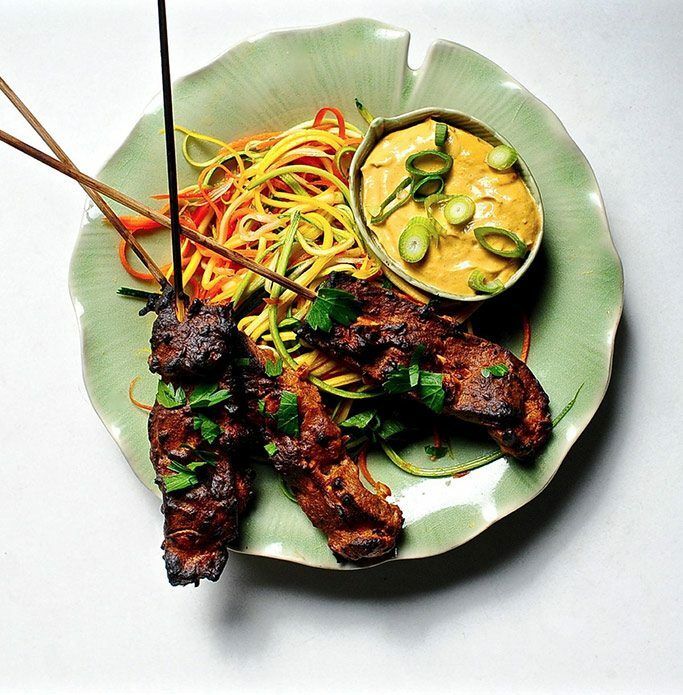 Food on sticks is a party must and I love the flavoursome charcoal edges of this Seiten Satay with Spicy Peanut Sauce courtesy of Johanne at Sunnyside Hanne. 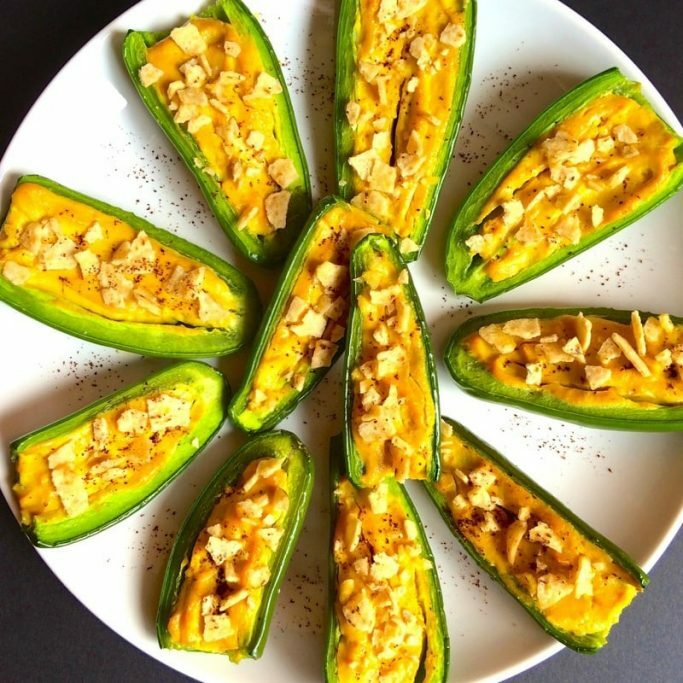 Add a little spice to the event with these Vegan Jalapeno Poppers from Annie at VegAnnie. 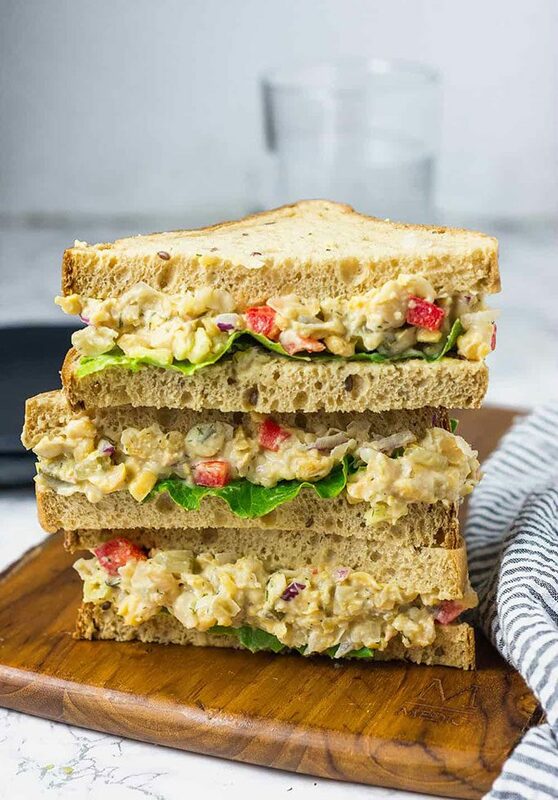 Save time and please the masses with Michelle’s delicious Chickpea Salad Sandwiches. 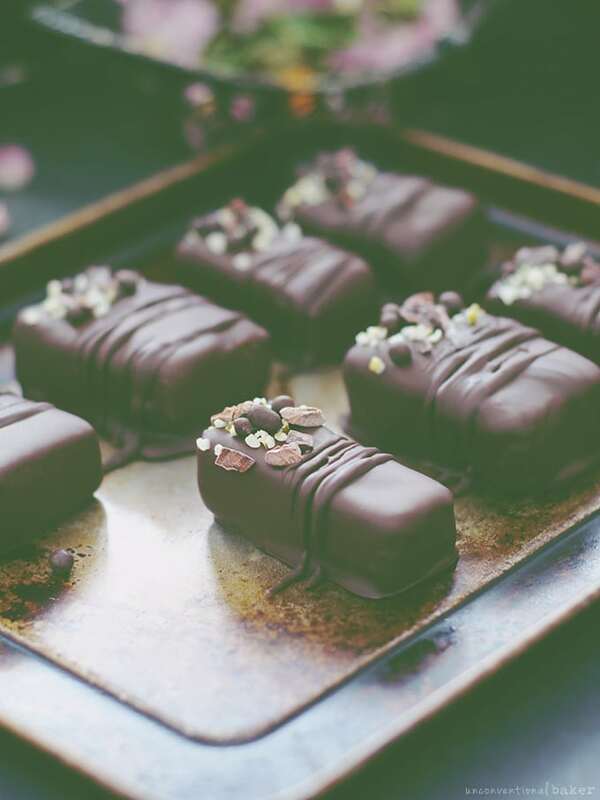 You can pop on over to Healthier Steps for the recipe. 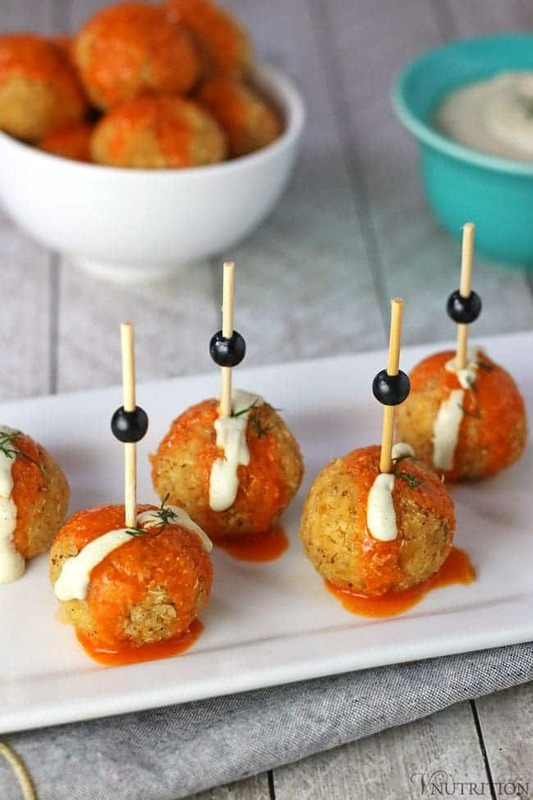 These vegan Buffalo Quinoa Balls from Mary Ellen at V-Nutrition just scream party. Crispy and perfect on the outside, soft and delicious inside. 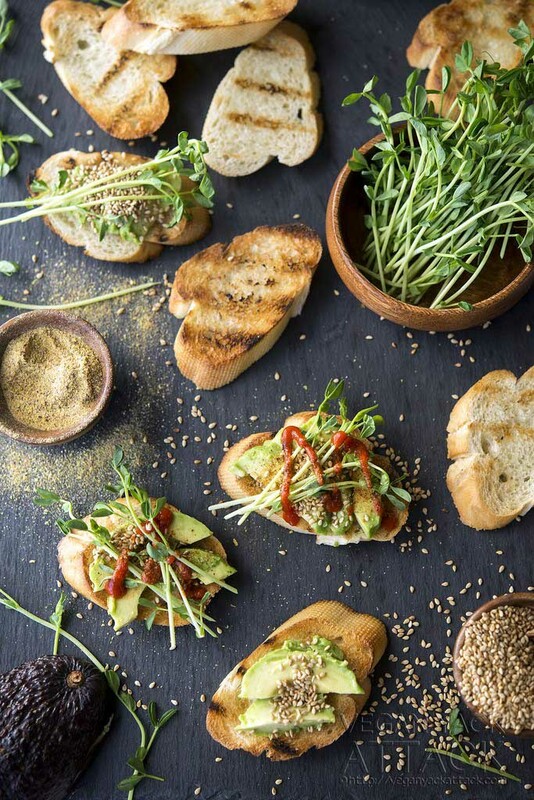 I love the simplicity of these Smoky Sesame Avocado Crostini from Jackie at Vegan Yack Attack. 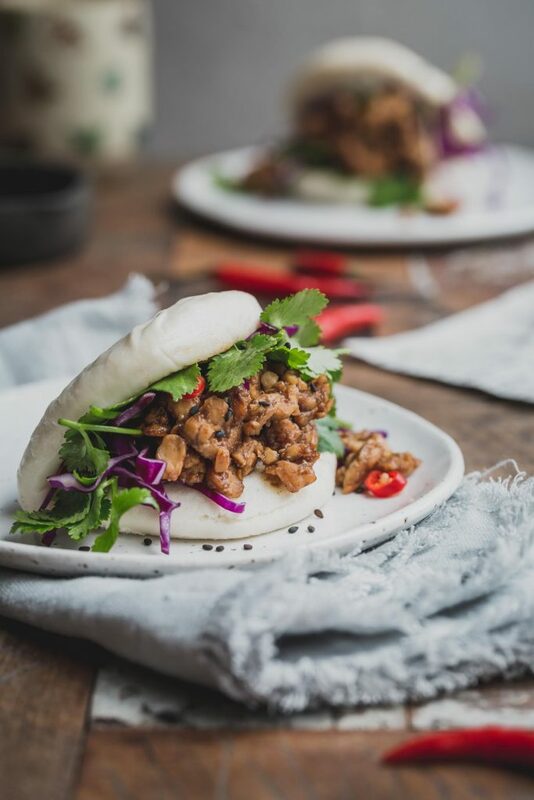 My little Peking Tempeh Bao Burgers are easy to make and even easier to nosh. 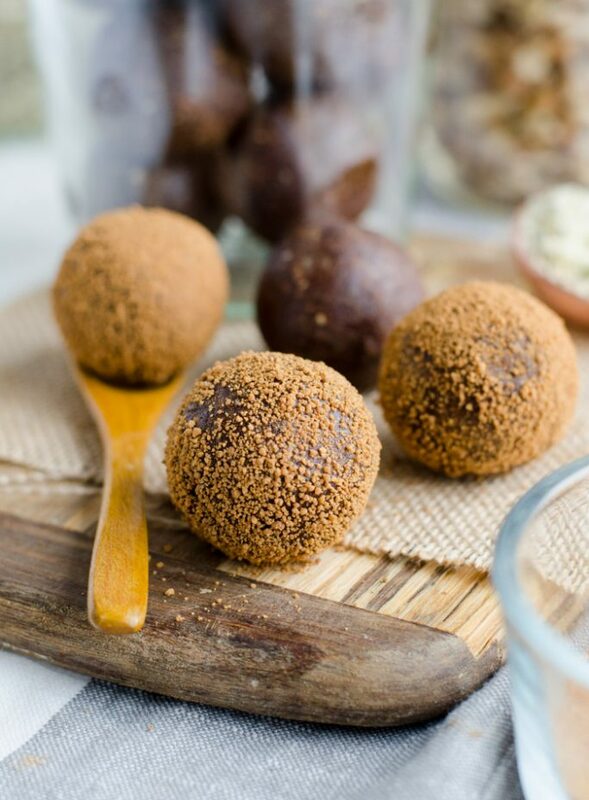 These Chocolate Superfood Energy Balls from Deryn at Running on Real Food are loaded up with all the good stuff including chia, hemp and flax seeds so you can snack smart and and party on. Bonus: they also taste amazing. 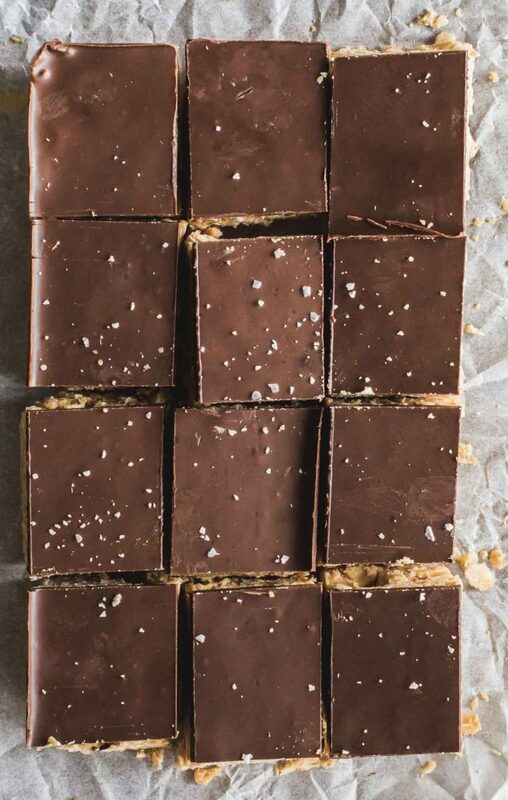 When time is not on your side, my No-Bake Peanut Butter Chocolate Oat Squares are a super quick and delicious treat with only 4 ingredients. 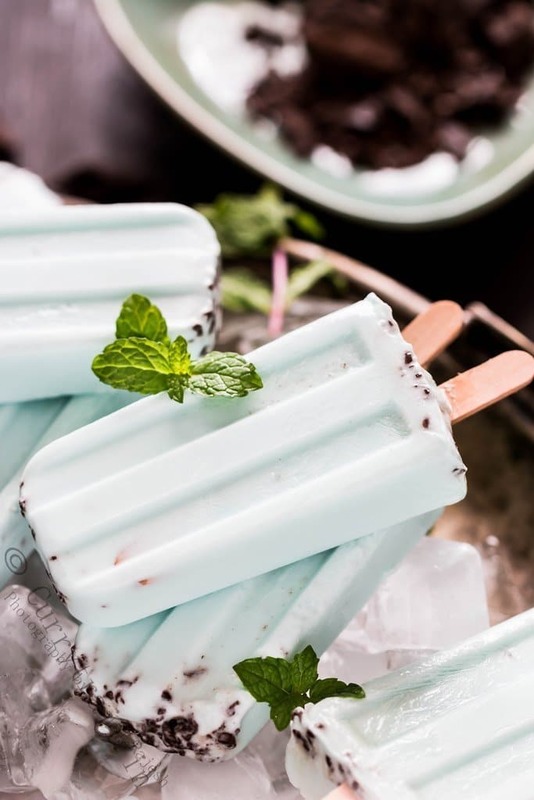 Kids and adults alike will love to cool off with these gorgeous Vegan Mint Chocolate Summer Popsicles from Jyothi at Curry Trail. 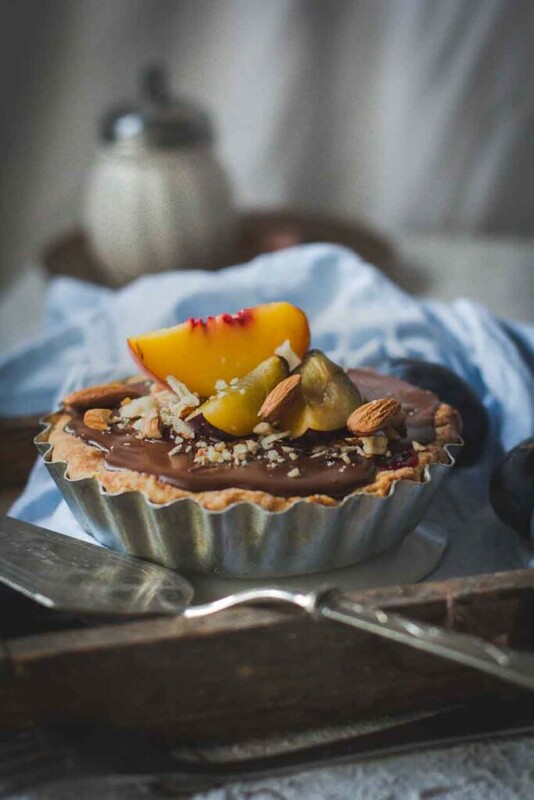 Admittedly, chocolate is a real weakness for me but this Chocolate Plum Pie recipe from Mari at Nuts and Walnuts looks just…bloody good. 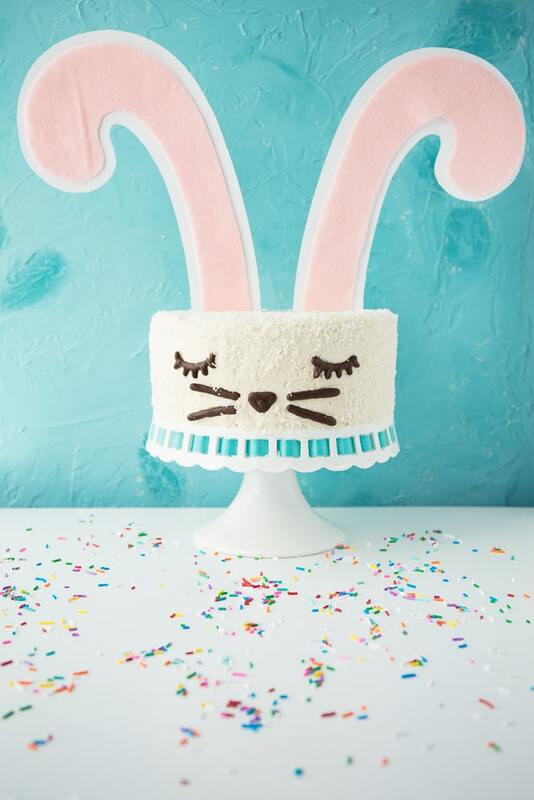 How could I not include this adorable Vegan Funfetti Bunny Cake from Robin at Vegan Dollhouse? The kids will go nuts for this! It is a law of nature, banana + caramel = awesome. 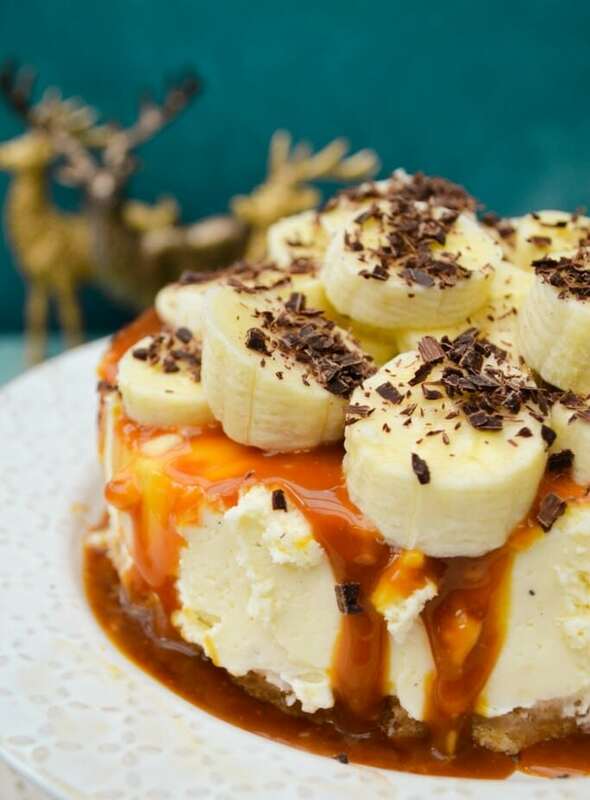 This Banoffee Pie Cheesecake is from Jacqueline at Tinned Tomatoes. Raw. Hemp. Chocolates. I am not sure anyone could resist anything so dang pretty. This wonderful party offering is from the wonderfully talented Audrey at Unconventional Baker. 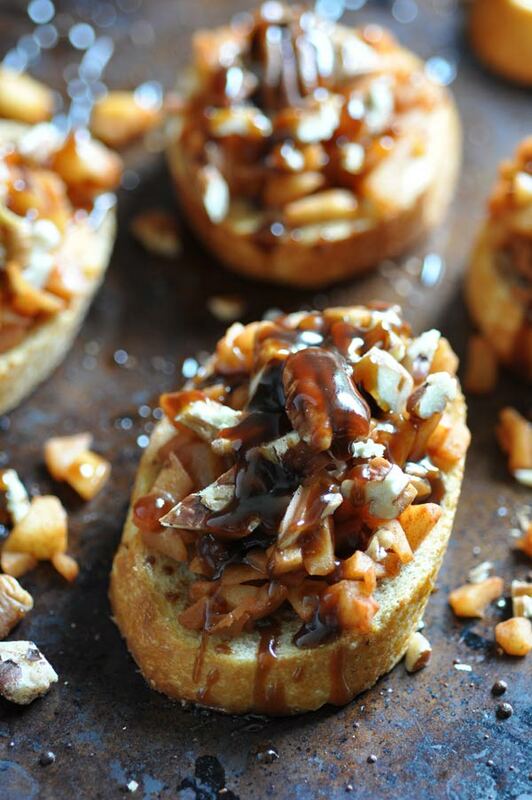 I love this sweet spin on traditional bruschetta from Veganonisty. Apples and cinnamon and bread, oh my. 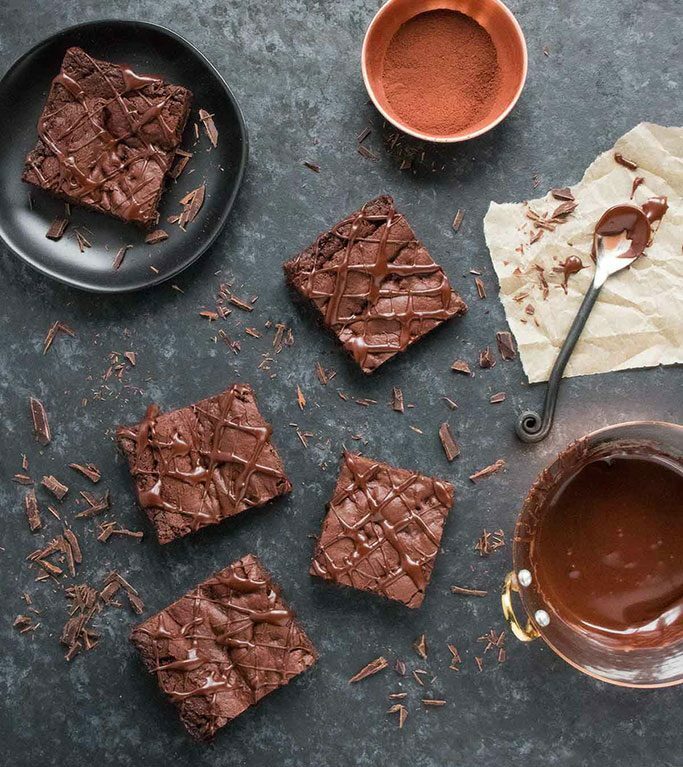 Mmmmm…these bowl lick’n mocha brownies from Karen at Crave Veggies are perfect for bigs kids and small. You had me at chocolate and snacking, Sophie. 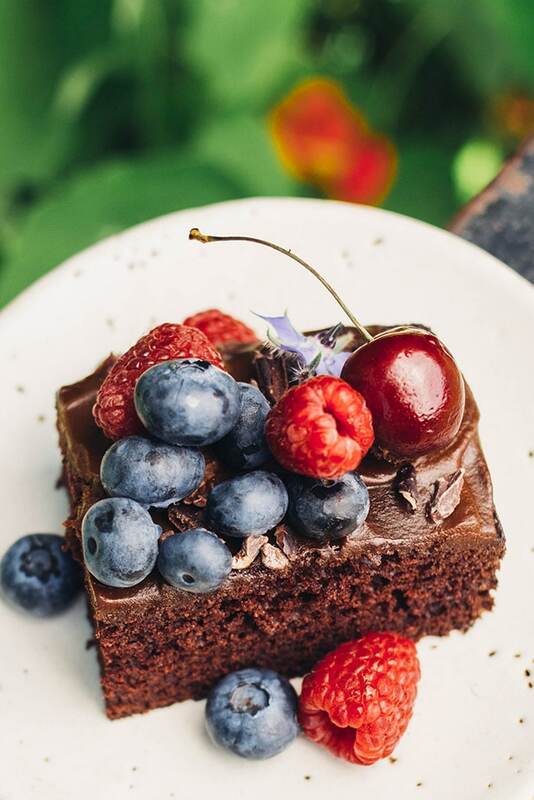 This One-Bowl Vegan Chocolate Snacking Cake can be found at Wholehearted Eats. 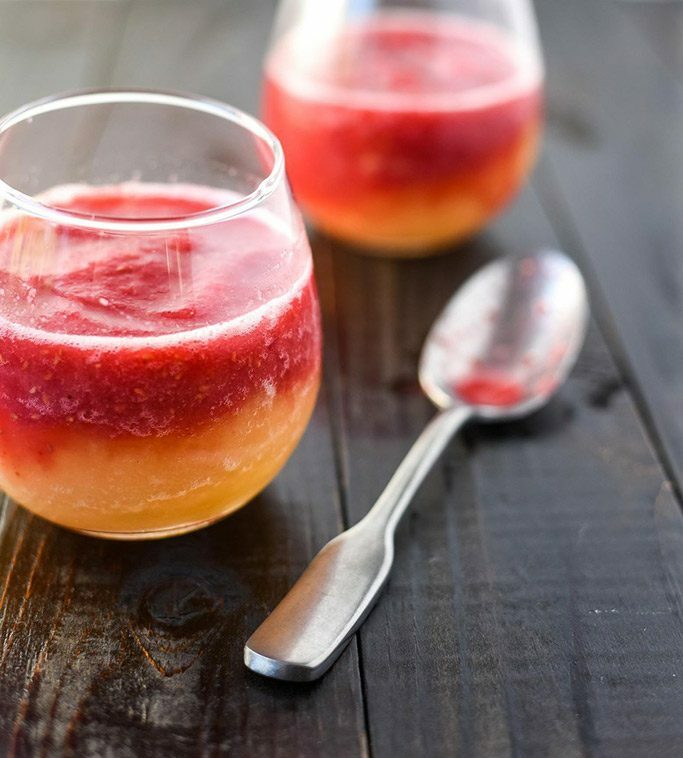 Just a little delicious something to get the party started…Raspberry Peach White Wine Slushies from Kerrie at Plant & Vine. 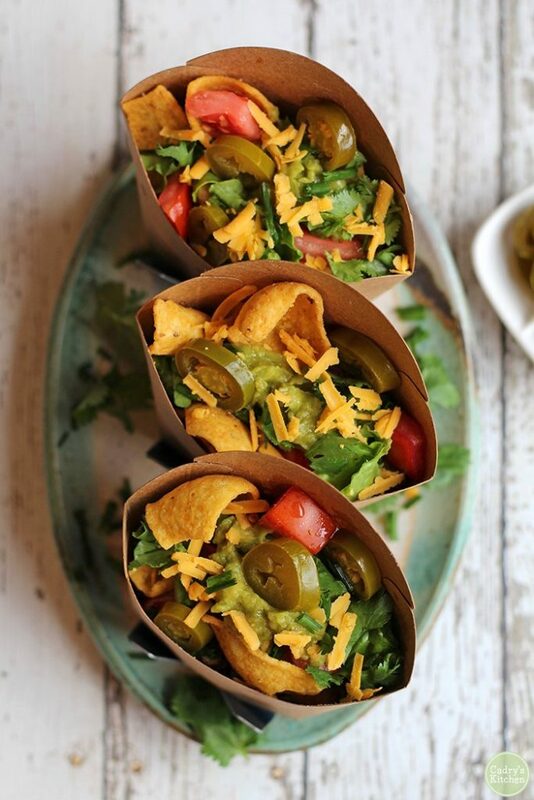 Cheers to the last recipe on this Vegan Party Food roundup. 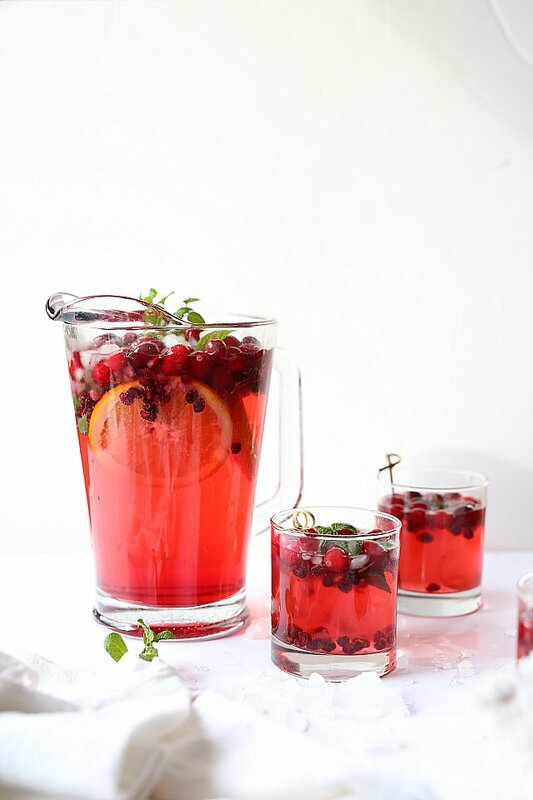 This gorgeously vibrant party punch is from Danielle at Delightful Mom Food. If you try any of these dishes, please let me know! 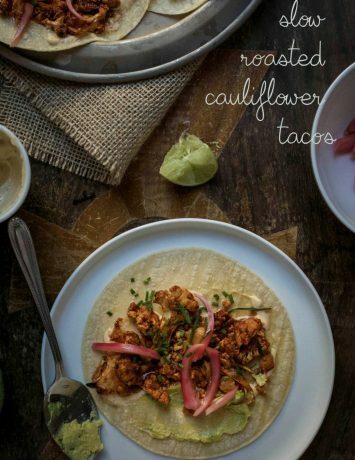 Leave a comment, rate it, and don’t forget to tag a photo #mygoodnesskitchen on Instagram. I’d love to see what you come up with. Cheers, friends. Boy do I know how I want to throw my next party! These recipe look delicious! Thank you so much for adding my recipes:-). Thanks Danielle! We found some really great recipes – yours included. Thank you for sharing with us. 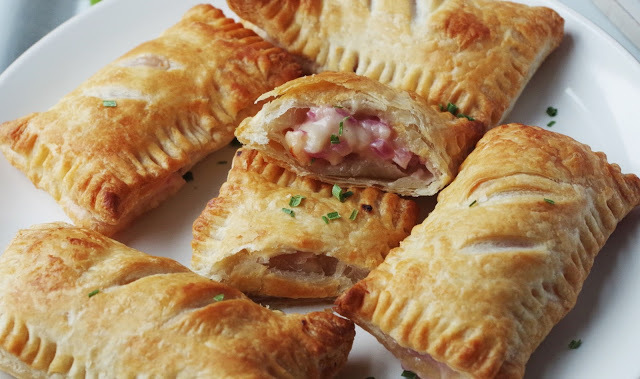 These party foods are making me drool! Thank you for including my party punch! Cheers! Thanks for sharing it with us, Danielle! 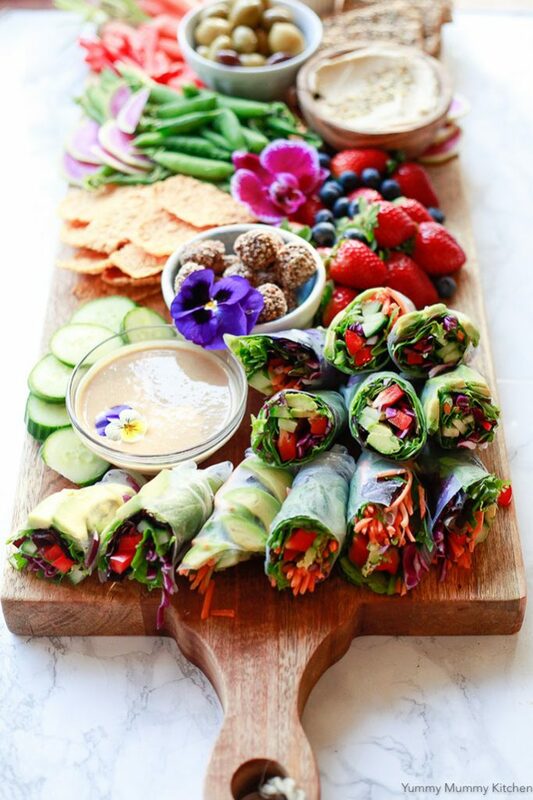 We love your gluten-free snack board too. Just gorgeous! Oh, what a great collection! Thank you for including my recipe too 🙂 I’m glad you like it! Thanks for sharing it with us Mari! Party food is the best food! These all look so good and perfect for all the upcoming holiday parties. Thanks for including my Cucumber Bites!